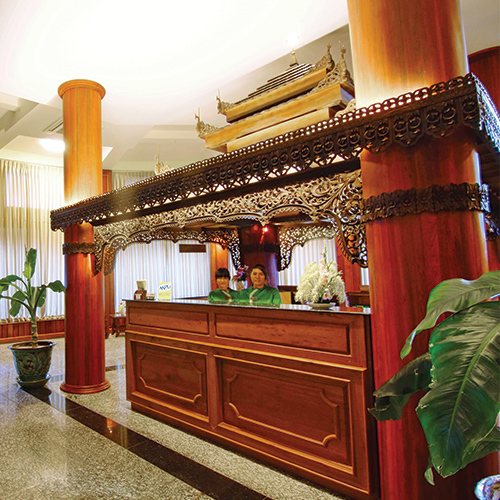 SIG Hotel will offer the services and amenities you will need for a comfortable stay. Along with both local and western special dressing menu, we will fuel you up with a hearty meal in our Yadanarbon Restaurant at the 9th floor of SIG Hotel. A surprise place or the bar with several kinds of cocktails, selection of wines, fresh fruit juice, soft drinks & liquors are served at SIG Sunset Bar by seeing panorama view of Mandalay Hill, ranges and Mandalay City. You can also choose to chill out and enjoy a cup of coffee in a breezy, relaxing atmosphere as you wind down after an exhausting day of shopping and exploring. 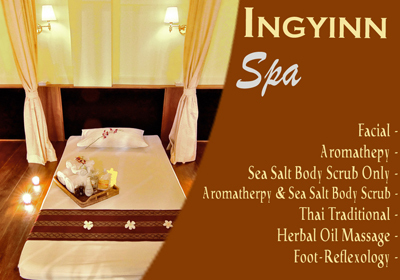 At the Ingyinn Spa of SIG Hotel, it is our pleasure to help you feel total well-being. Soothe your aching muscles with a therapeutic massage, or you can enjoy our fantastic SPA and massages, Facial treatment, Aromatherapy, Sea Salt Body Scrub Only, Aromatherapy & Sea Salt Body Scrub, Thai Traditional, Herbal Oil Massage, Foot-Reflexology and endless possibilities to help you find great. 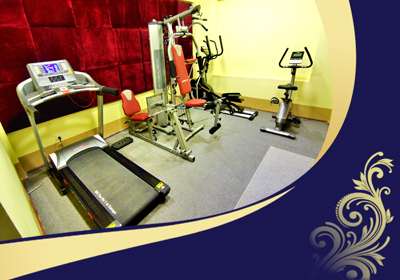 Hotel’s guests can work-out, destress and stay in shape at SIG Hotel’s Gym with free admission the use of facilities. At SIG hotel, small meetings or training events can be held in one of the three function rooms; YADANARBON, MINGALAR, INNWA, all of which provide natural daylight or specification lighting to keep delegates alert. Our flexible meeting rooms can be configured into boardroom, theater or cabaret-style setups. For meetings of more than 10 delegates, ask during booking about the current day-delegate packages, which include refreshments, stationery, audiovisual system & projector, room accommodation and more. 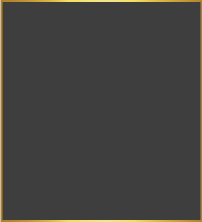 Check our meeting rooms' capacity and setup here.